Josh Griffiths is a jiu jitsu black belt under former UFC fighter Kenny Florian, and the main instructor of the Clockwork Jiu-Jitsu Academy. 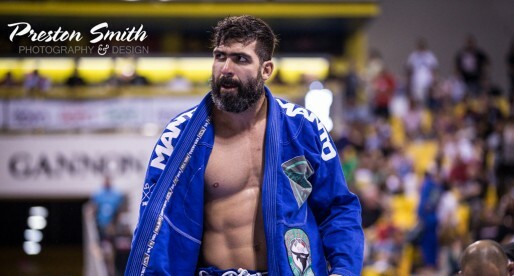 Josh Griffiths started his career in jiu jitsu under Fabio Clemente of Alliance, and trained extensively with Marcelo Garcia before he severed his ties with the Brazilian duo in a case well debated all over the internet which ended in a lawsuit against Garcia & Clemente (later dismissed), which shook the BJJ community back in 2007. Josh Griffiths was also one of the top competitors in the New York grappling scene with wins at the Pan American Championship as a brown belt and multiple World Jiu Jitsu Pro Cup trials wins. Josh Griffiths was born on the 25th of April, 1980 in California, USA. Josh got interested in Mixed Martial Arts (MMA) back in 2001 after watching UFC 32 live in New Jersey. Josh was not very familiar with the sport, but as he got free tickets to the event he decided to have a look, after the fights were over Griffiths was pleasantly surprised the whole spectacle. 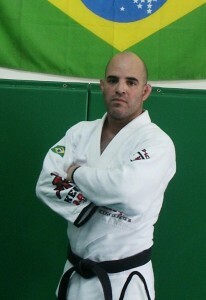 At the time Josh Griffiths was studying Engineering at Stevens Institute of Technology in NJ, and decided to add martial arts to his extra curricular activities, the following day after UFC 32 Josh googled “jiu jitsu nyc”, the search led him to Fabio Clemente’s gym, the Alliance’s representative in NYC, and the co-owner of the then famous “Studio-X” gym. 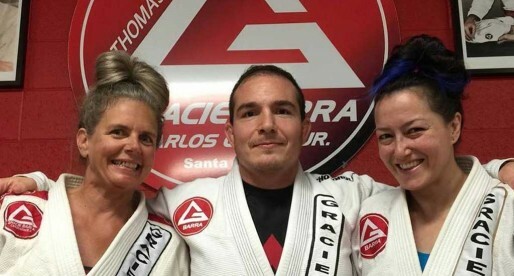 Griffiths became one of the top students at the academy, and by the time he was a purple belt he picked up a coaching role at a gym in Hoboken, NJ. He would later take the early morning class at Studio-X also. The arrival of Marcelo Garcia to New York back in 2006 would be a great boost in Josh Griffiths’ competitive career, who in 2007 won his major competition to date, the Pan American Championship as a brown belt. All appeared to be in tune at Studio-X, but on October, 2007, as Marcelo Garcia’s contract was up for renewal after one year at the academy, the two parties (Studio-X and Garcia) could not reach an agreement towards his stay with the team. After a much debated quarrel, Fabio Clemente decided to stick with Marcelo and split his bond with the co-owner of Studio-X, it was agreed that Fabio and Marcelo Garcia would leave the academy and Josh Griffiths (a good friend of the co-owner of Studio X) would stay in their place. However, on November 19th (2007) the ownership filed a lawsuit at the New York Civil Supreme Court against Clemente in the form of a restraining order, this lawsuit, many claimed, would serve to scare Marcelo Garcia away from New York (who would not want his name dragged in a lawsuit in fear of losing his visa to work in the US). The lawsuit would later be deemed frivolous, but the move was called out by internet forums as a hideous plan to throw out two people who had helped raise the name of Studio X for the sake of competition in the New York area. Josh Griffiths received his black belt on December, 2007 from the hands of Kenny Florian. 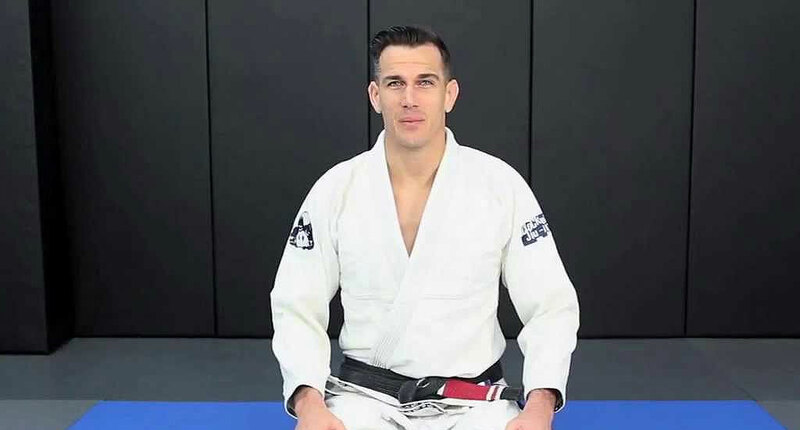 Since achieving his black belt status, Griffiths has become one of the most well respected instructor in the New York region, founding a new team named Clockwork Jiu Jitsu. i heard a very different account of the story between Josh and the guys at Studio X from a friend of Josh. Not trying to start trouble or rumors, but this paints a very different picture than the story i was told. There are always two side to each story. I tried getting in contact with Josh but was not very successful in doing so, so I had to go with what I found in the media and internet forums from back in those days. I currently train at CWJJ and personally love it there. Sensei Griffiths has created an environment which is about giving you a sound technical base in BJJ all the while allowing you to have fun in the process. Prior to coming to the school I had done some research on him and the school and heard about the conflict but didn't really care, cause it didn't concern me. My focus was on the level of the man's school and his teachings which I find to be sound and a really good fit for me.